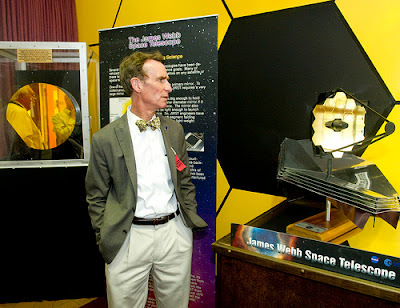 Bill Nye, the tiresome leftist guy, seems to be the go-to spokesman for anything pseudo-science. "Science Guy?" He has a BS in mechanical engineering (the consensus is that engineers are not scientists) and worked as a mechanical engineer for Boeing, was rejected by NASA, got his "science guy" start in the "Almost Live" comedy show, went on to do a science show for kids (mainly run on the liberal PBS-TV), and so on. This poster boy for evolutionism has been sought for his "scientific" expertise on various topics, including global warming, the NFL under-inflated football scandal, shipbuilding (in the debate), and more. He's annoying, and the liberal media should stop consulting him. What is much worse is that he's using his lack of science knowledge to support leftist pro-abortion propaganda. I find this troubling, and others are finding him mighty irritating nowadays. Bill Nye the Abortion Propaganda Non-Science Guy was taken to task in two strong articles that are worth reading: "Back to Science Class for the Science Guy", and "Abortion Fans Are Bad at Science and Even Worse at Making Rational Arguments". When Bill Nye was a mite less known, The Onion posted a piece on how Nye was killed in an experiment. There was also a hoax in 2014 that was quickly discredited about his untimely demise. The man himself is not yet pushing up the daisies, but his integrity and credibility have rung down the curtain and joined the choir invisible. There's still time for him to repent and come to terms with the Creator that he is pretending does not exist (Romans 3:23, Romans 6:23, John 1:12, 2 Corinthians 5:17). Until then, intelligent people need to refute his pronouncements.